Whether a client is erecting a building, sports stadium, or ​anything else, site work construction is required and K&E is the contractor of choice. We are experienced in excavation, underground utilities, structural excavation, retaining wall construction, and much more. Its our desire to meet and exceed your needs in all aspects related to schedule, cost, and quality. Once project requirements are set, K&​E will mobilize equipment and labor to 'dig-in'. We accurately manage all details and actively solve potential problems to ward off delays. Our use of the latest GPS technology will verify and guide the excavation and grading process for the greatest efficiency and integrated workflow disciplines will minimize disruptions to the surrounding areas and to the public at large. 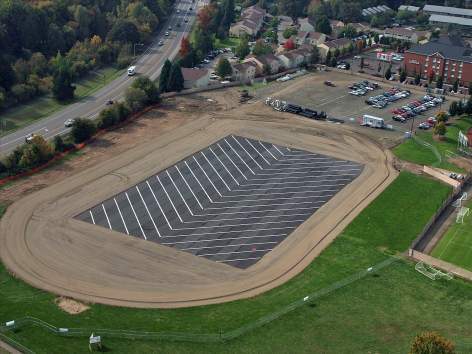 Because project quality and success begins with superior site work, it makes sense to use a proven, well-respected site work construction company like K&E, serving the NW since 1998.